Andrea Del Verrocchio was his teacher in childhood. From 1485 to 1490, Leonardo produced studies on loads of subjects, including nature, geometry, flying machines, mechanics, municipal construction, canals and architecture. His studies from this period contain designs for advanced weapons, including war vehicles, various combat devices, and submarines. Also during this period, Leonardo produced his first anatomical studies. 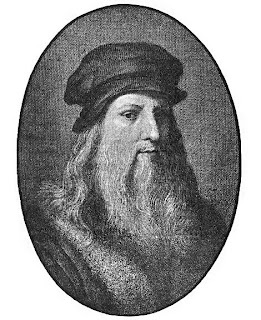 Leonardo's interests were so broad, and he was so often compelled by new subjects, that he usually failed to finish what he started. 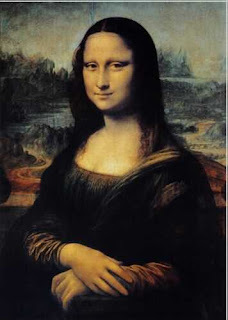 His most famous paintings are, Mona Lisa, The Last Supper and The virgin of the Rocks. Mona Lisa, also known as La Gioconda is a 16th century portrait painted in oil on a poplar panel by Leonardo Da Vinci during the Italian Renaissance. The work is owned by the French government and hangs in the Louvre in Paris. The Last Supper was done with the assistance of the de Predis brothers, and was filed with a large complex altarpiece, already constructed. The painting represents the last meal shared by Jesus with his disciples before his capture and death. They are in the Louvre, Paris, and in the National Gallery, London. Da Vinci's creative, analytic, and visionary inventiveness has yet to be matched.